Well, I said I’d draw every day, and so far I’m managing to do it – but it’s a strange process. If I don’t have an idea of what I want to draw, I end up doodling – relaxing, but not exactly developing the drawing technique. But what to draw? I have various books on the subject, most suggest that you draw your breakfast (or coffee cup, or bathroom cabinet, toothpaste tube – etc) – in other words that you draw what’s around you. OK I suppose, but it doesn’t make my spirit tingle – and I do want to get that ‘flow’ sensation. So instead, I had a think about the sorts of things that I do like to draw, or more importantly perhaps, the things that I’d like to be able to draw. My list is short. I like drawing (for which also read painting) trees and landscapes. I would like to be able to recreate buildings, in particular ruined castles and churches – but these I find very difficult indeed. Lanercost Priory – pen and watercolour sketch. 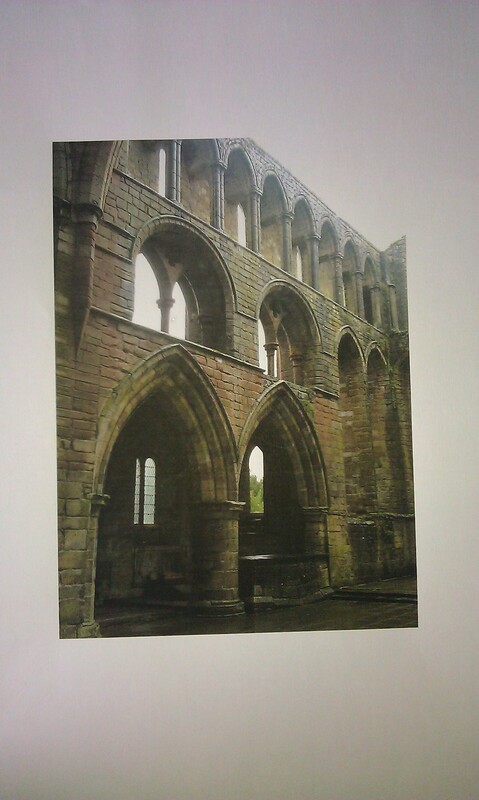 Here is my first sketch of the inside of Lanercost Priory. We went there on holiday, on a simply horrendously wet day, and I absolutely loved it. The lady at the ticket office deserves a medal for being so enthusiastic about the site, despite the weather. She gave us a fabulous description of what to see, which even managed to inspire the daughters. 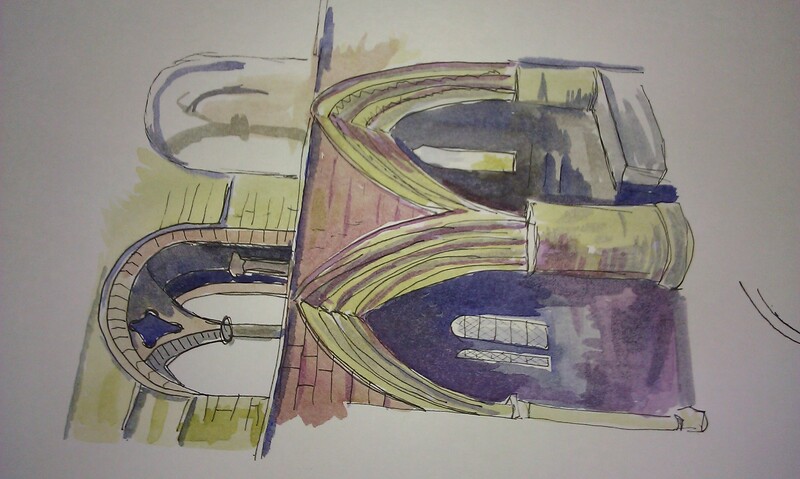 It took a lot of sketching to get this far – how on earth do you get those gothic arches to look even vaguely pointy, rather than distinctly wobbly? I think I could go mad. Anyway, this is as much as I can manage on this picture – I’m seeing arches in my sleep. I’m using ultramarine, new gamboge and permanent magenta – my scanner doesn’t know that. The photo I used for reference.